Bathrooms are among the most practical rooms in the home, but they are also a space to relax and unwind at the end of a long day. Your bathroom is a space that should always feel light and airy, whilst offering just the right level of privacy. Creating the right ambience can be found through a balance between light control and style. Bathroom windows are generally smaller than those in the rest of the home, however, they provide an opportunity to add colour and character to the space. 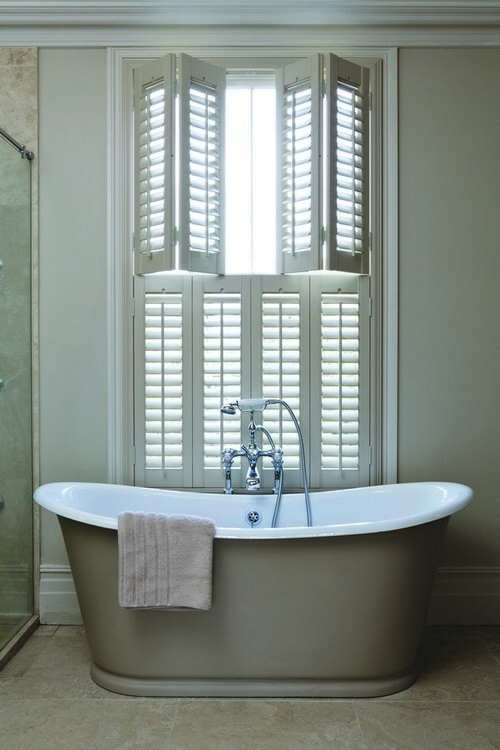 We’ve fitted blinds for thousands of happy customers who are looking for the perfect finishing touch to their bathroom. Please note that evening visits are only available Monday-Thursday. A fantastic practical and stylish choice for bathrooms as they combine light and privacy brilliantly. There is a huge range of colour options, as well as PVC coated fabrics that can stand up to the splashes of water that are so common in the bathroom. A popular choice, the classic design of Venetian blinds of a variety of features, coming in a range of colours and finishes. They are very versatile and perfect for letting in natural light whilst providing you with the privacy that is required in the bathroom. Popular throughout the home, rollers are available in a variety of plain or printed designs that allow you to bring a personal touch to your bathroom. They are sleek and simple to operate, taking up very little space, allowing you to make use of the window sill. 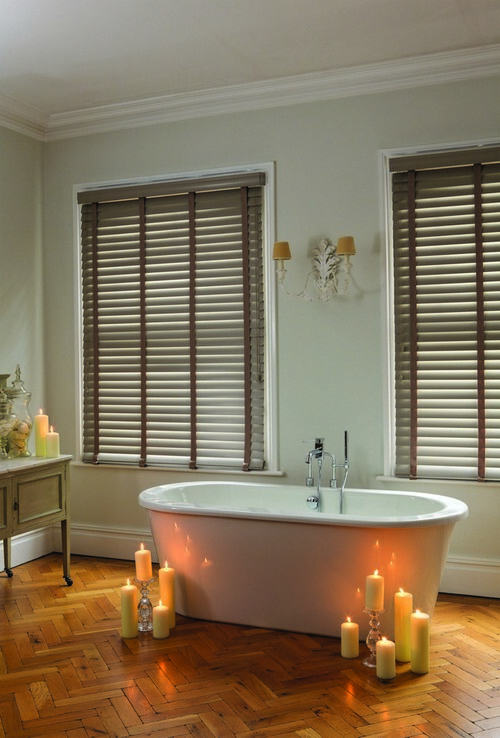 A variation on the Venetian blind offers a stylish and practical alternative that provides a stunning finish to your bathroom. Hard-wearing and easy to clean, these are another popular choice that affords privacy while allowing natural light to shine through.